With money becoming tight, wise consumers are making savings by changing their utility suppliers. 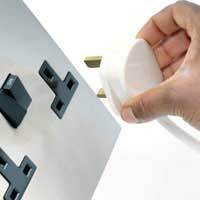 It’s surprisingly easy to do, and research carried out by uSwitch.com in 2007 showed that 13 million households have already switched their utility supplier at least once, and saved themselves £1.7 billion in the process. Is it difficult to change utility supplier? No, it’s actually a very simple, straightforward process. Be wary of sales people who call at the door and try to talk you into switching to them – take your time and research the options online instead. You can arrange the switch online, which involves very little paperwork. How long will it take to change my utility supplier? It depends on how efficient they are! Generally, switching suppliers takes around six to eight weeks, but various things can hold up the transfer of your supply, such as you being contracted with another supplier, or if you don’t give the new supplier all of the information that they need to complete the switch so they have to come back to you. You’ll need to give them your name, address and contact details, as well as the names of your existing suppliers. But generally the switch can be done quickly. You will probably hear from your existing supplier when the new supplier contact them, confirming that they’ve had a request to switch and giving you the opportunity to stay with them. You should also receive a welcome letter from your new utility supplier, once the transfer has been activated. How can I find out who currently supplies a property? If you’re moving into a new home and don’t know who the current utility suppliers are - for Gas Suppliers call the M Number Enquiry Helpline on 0870 608 1524. They will tell you the supplier and give you what’s called an MPRN number. Will I have to get new meters if I change my utility suppliers? No, the meters and equipment that are used to bill you will stay exactly the same whether you choose to change your gas, electricity, or telecoms supplier. All the utilities will be supplied using your existing equipment. If I have a duel fuel deal with my gas and electricity, is there a reason I can’t change back to separate utility suppliers? This will all depend on whether you’ve committed yourself to a fixed unit price or other tie-in to an existing deal. You would have to check with your supplier first to find out whether it’s possible for you to switch back to separate suppliers. Who is responsible for the maintenance and safety of the gas and electricity supply? It doesn’t matter who your utility supplier is or where they are based – the responsibility for providing safety and maintenance to your supply will still fall to your regional supplier. What must I do if I am moving house? When you move house, whether you are changing utility suppliers or not, you will need to give them at least two days notice. Preferably more. Your supplier will then ask you to give them a meter reading on the day that you move, and this reading will be used to calculate your final bill. You should not incur any penalties for early contract termination in the case of moving house, although if you move and change suppliers at the same time you may find that you are charged if you had a contract that tied you into a fixed term.